Here is a gallery with photos and testimonials of the Piper's fine work. 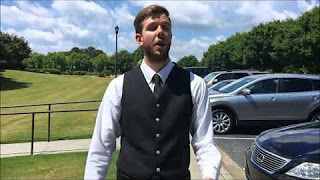 "I just wanted to express my gratitude for your services at our wedding. 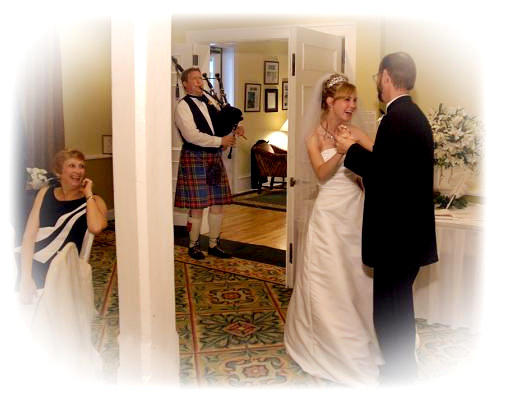 Having you play the bagpipes for our wedding set the tone of the ambiance we wanted to create for our special day ...timeless elegance! Looking back on the day now - my memories are infused with the melody of your bagpiping. I'll never forget as you played Amazing Grace during the middle of our ceremony - even though hundreds of people experienced the moment with Jason and I - the only thing I remember now is the anticipation of getting ready to say the same vows that so many people throughout the centuries have said to the people they loved and the strains of a song that is so dear to my heart being played on an instrument that has passed through the halls of time - the bagpipe! I'll never forget this moment -- thank you SO much for giving Jason and I the memory of each of each other -- set to ageless music -- on the most special day of our lives! On March 26th, 2005 I was honored to play at the memorial services of Travis Stewart. Travis Stewart played an important role in the Democratic party in Georgia and was a powerful Washington D.C. lobbyist for many years. Travis had 5 children. 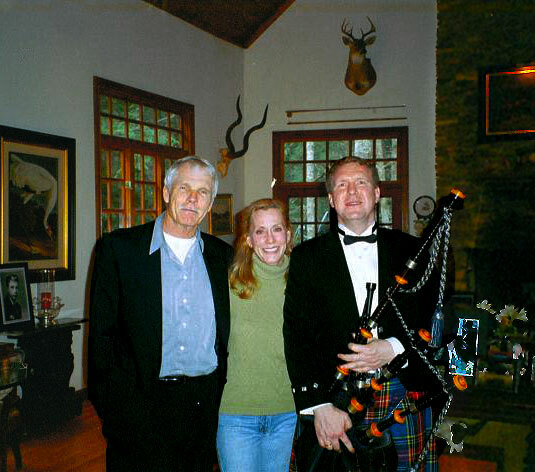 One of Travis's lovely daughters, Rebecca Stewart, was accompanied by her very significant other, Ted Turner. The memorial service at Druid Hills Baptist church was very touching. I played the family in and out of the chapel, and played "Amazing Grace" as an interlude. Bill Stewart, Rebecca's uncle, sang a beautiful solo for his brother bearing a powerful witness for Jesus Christ. After the church service, everyone drove to Rebecca's gorgeous fishing lodge. I played my pipes by the river for probably 30 minutes as quests arrived and prepared for the riverside ceremony. Each of Travis's 5 children had a portion of his ashes to sprinkle in the river. However, just before they sprinkled the ashes, I played "Amazing Grace" and everyone sang along. As everyone sang, a remarkable and astonishing spiritual event occurred. Although the singing was average, literally dozens of fish leapt repeatedly out of the water, and continued leaping for the entire verse. When the singing stopped, the fish stopped jumping out of the water. It was truly amazing. I then played "Taps" and Travis's children began sprinkling his ashes in the river. Later I had my picture taken with Ted and Rebecca, who were extremely gracious hosts. 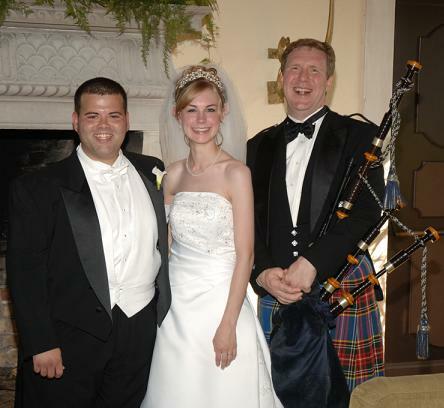 After meeting me and listening to me play, Brian and Angela flew me down to Jekyll Island to play at their wedding. At the reception, I taught waltz lessons in the hall (for no additional charge :-) and played a waltz for the newlyweds and then again for the bride and her father and the groom and his mother. It was a lot of fun, and a good time was had by all! 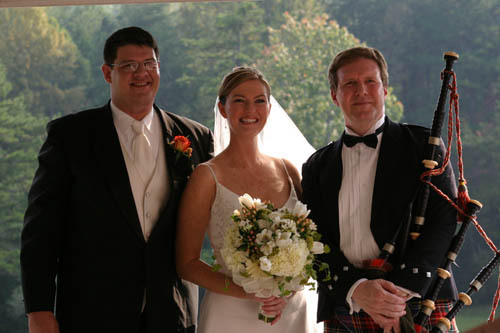 Brian wrote, "Angela and I wanted to tell you that you did an absolutely amazing job at our wedding! You were the absolute highlight of the wedding, second only to the ceremony. Your bagpiping immediately brought several people, including me, to tears. 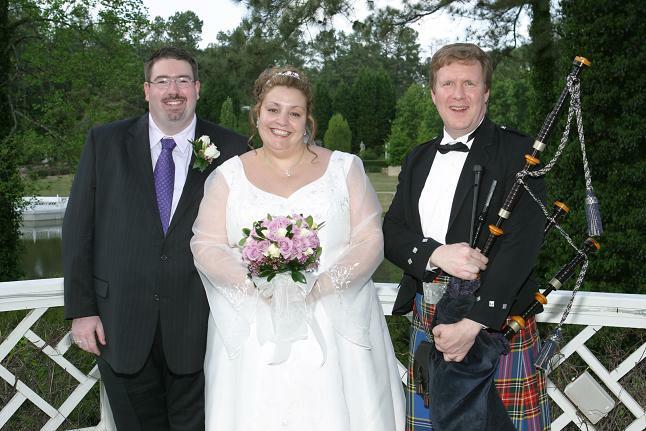 Countless people told us how much they loved your piping. You did a fantastic job listening and fulfilling our wishes flawlessly. You are truly blessed with a gift. Your professionalism was noticed and appreciated by all who were involved and attended. Angela and I thank you for being a major part of one of the happiest days of our lives! We look forward to enjoying your music again soon! "We wanted to thank you so much for helping to make our wedding day such a special and unique event. You and the drummer did a wonderful job playing so beautifully together. We know you really touched a lot of our guests. There has always been a certain something about a well played bagpipe that touches a chord in people. It was fantastic having you play in our wedding and my only regret is that we didn't book you to play in more parts of the wedding. You can bet that we will be calling you again for our next event. "Aaron and I were very grateful that you could join us on our wedding. 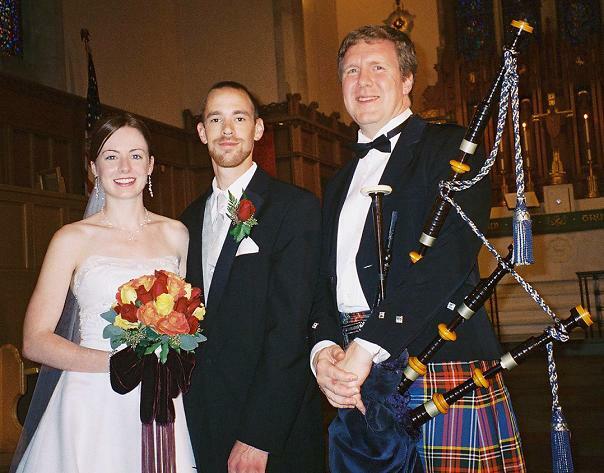 You helped us bring my Scottish heritage into this wonderful day. I will never forget the smile on my dad's face when the music of the pipes rang out. My husband and I appreciate your willingness and eagerness to help make this moment truly magical." "We just wanted to thank you so much for a wonderful job. 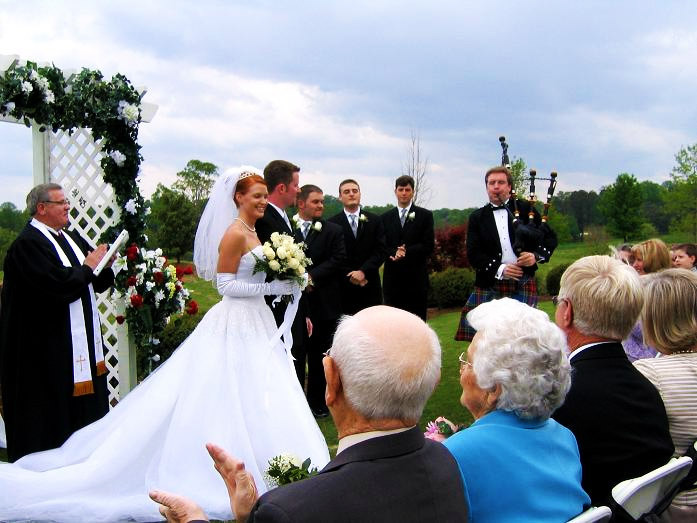 It was a beautiful ceremony and the bagpipes were the perfect touch. 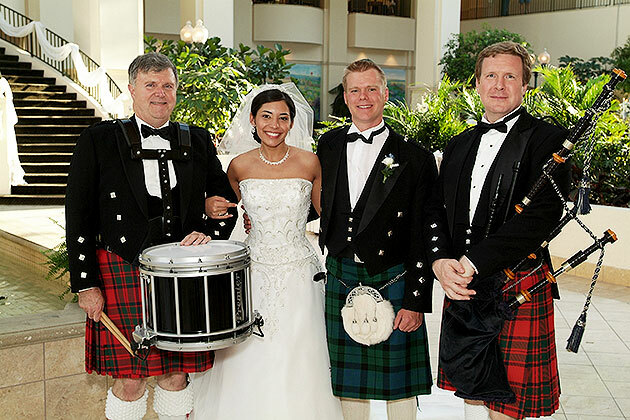 "Phillip and I just wanted to thank you for doing such a wonderful job playing for our wedding ceremony. All of our friends and family still talk about how neat the ceremony was with you playing and the mountains around us. 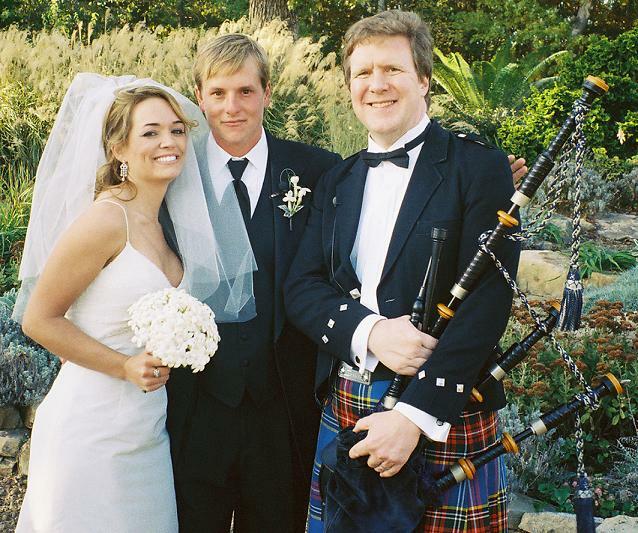 Since I can remember, I have always wanted a bagpiper to play at my wedding. You did a wonderful job! "Dear Brad, Thank you so much for the beautiful job that you did on our wedding day. The music was wonderful! We would not hesitate to recommend you to anyone! You helped make our day truly magical. "Thank you so much for playing at our wedding. It was great to be able to meet with you beforehand and hear some of the songs in person. It made selecting our music so easy. The bagpipes sounded amazing in the church. Even six months later our guests are still talking about it!